People moving into Bricket Wood soon find it can be much more than simply a place in which to live, if they want it to be. 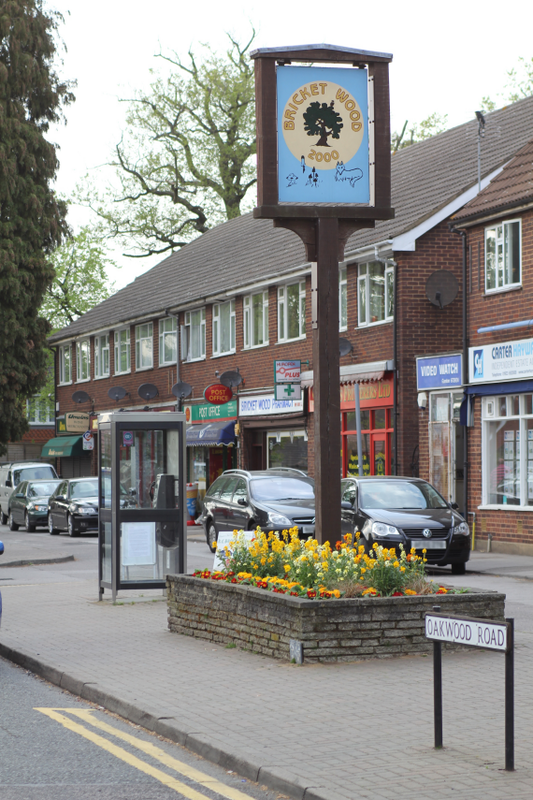 Bricket Wood is of a size where taking time to have a word with a neighbour, a friendly hello when passing in the street, or a chat at the local shops, soon gives the newcomer a sense of belonging. School, churches, pubs, shops, local businesses and a healthy number of voluntary organisations and interest groups contribute to making our village a community. That this is so, is evidenced by the awards made to Bricket Wood by C.P.R.E. - The Hertfordshire Society following our entry to the annual Village of the Year Competition sponsored by Calor Gas Ltd. In summer 2003 we won first prize for 'Community Life' in recognition of the multiplicity of organisations and activities on offer in the Village. A brass plaque was awarded which is displayed in the Parish Centre and a duplicate copy is mounted on the post of the Village sign at Oakwood Road shops. In summer 2004 we were awarded a Commendation Certificate (2nd prize) for 'Young People' in recognition of the many uniformed groups, pre-school and after school programmes on offer to the young people in Bricket Wood. We have not made an entry since 2004 but the position is open for anyone who would like to take the lead in future years. A Village Guide is distributed free to every house in Bricket Wood and is intended to provide local information and some understanding of where we live. The original Bricket Wood Village Guide published in 1988-89 was the sole effort of the late Bert Neasel. Bert committed a tremendous amount of his time and energy to working for Bricket Wood and he was far from being alone with such endeavour. Bricket Wood still thrives on the work of volunteers. If you feel that you would like to make a contribution by joining the Bricket Wood Residents' Association Management Committee, please contact any committee member whose names are listed in The Voice of Bricket Wood'. Although it is sometimes not easy to recruit new members, and people seem reluctant to take the first step to becoming involved, those active in voluntary work usually find it rewarding and worthwhile. Much invaluable work is quietly done by individuals who seek no recognition for what they do. It is also often the busiest local residents who involve themselves in working for their community, in organisations and groups which provide for a variety of interests and ages, as well as care for the well being of our village. Bricket Wood is a better place to live in due to this work. Thank you to those whose voluntary or exceptional contribution benefits the community spirit of Bricket Wood and improves the quality of all our lives in so many ways!